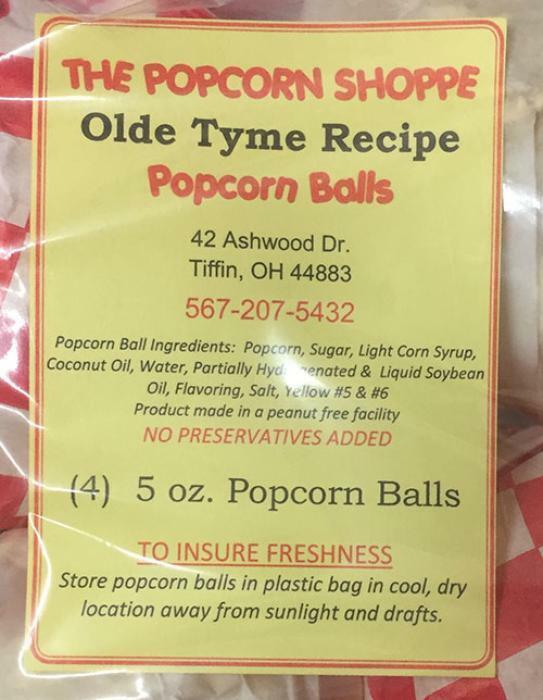 The Popcorn Shoppe of Tiffin, Ohio, is recalling its Olde Tyme Recipe Popcorn Balls, Edwards Orchard Popcorn Balls and Edwards Orchard West Popcorn Balls. The products contain milk and soy, allergens not declared on the label. There have been no reports of illness to date involving the recalled products. The recalled products, four individually wrapped 5-oz. popcorn balls in a clear plastic bag, were sold at retail locations in Illinois and Ohio. Customers with milk and/or soy allergies or sensitivity who purchased the recalled products should dispose of them or return them to The Popcorn Shoppe for a replacement. Consumers with questions regarding this recall may contact Melissa Molyet at (567) 207-5432 Monday – Friday 9:00 am. - 5:00 pm. (EST).